Createspace Independent Publishing Platform, 9781478224891, 258pp. Alaska, 2010 In a remote Alaskan creek the U.S. Air Force unearth the find of the millennium. Little do they know that the mysterious discovery will lead them to something that will unleash a terrifying nightmare upon Earth... Texas, 2017 The military is moving into the abandoned chemical plant next to Ken Forde's farm. But the military isn't the only new arrival in Speaker. A weird, frazzled stranger is keeping a close eye on the plant, as well. What could possibly be going in there? Unfortunately, Ken and the rest of world will soon find out... CROGIAN: a highly secret military project that has gone horribly wrong unleashing an apocalyptic blight on the world. Ken and all the residents of Speaker awake to a nightmarish landscape. Cut off from civilization and any help, they must make their way to Houston and sanctuary - a journey through stifling heat, and a route filled with giant abominable creatures. Who will make it to Houston? 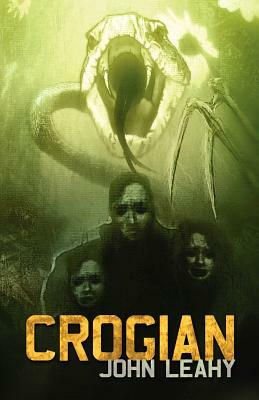 Who will survive the horror that is... CROGIAN.